You may already be aware that Songkong supports auto-populating of the MinimServer group field, but we have now added support for the field to the latest version of Jaikoz http://blog.jthink.net/2017/10/jaikoz-93...adata.html - useful if you need to manually edit it. I wanted to share with you a new feature of SongKong 5.0 that I hope will be of interest to some of you, Remote Mode. This feature means that you can now control SongKong from a remote device using a regular web-browser, and this could be another computer, iPad or even your mobile phone. 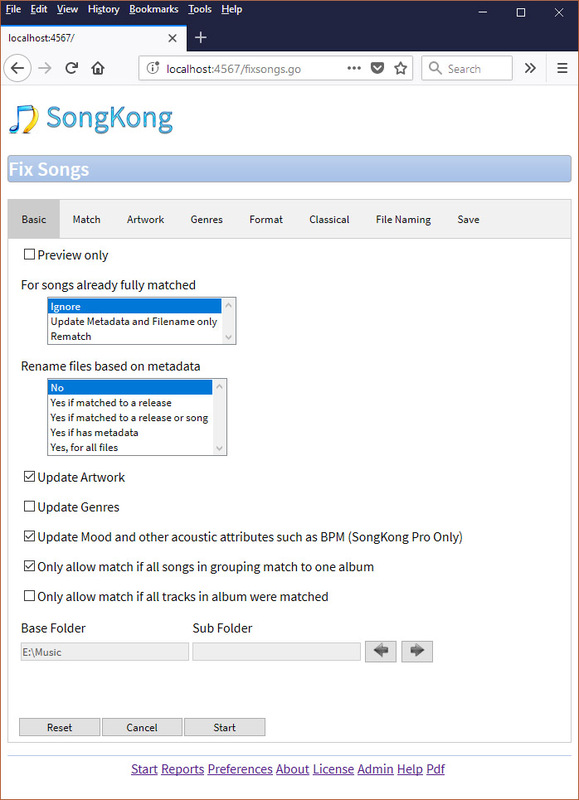 This also means you can install and use SongKong on a computer that does not have a Graphical User Interface (GUI) such as a Linux server. 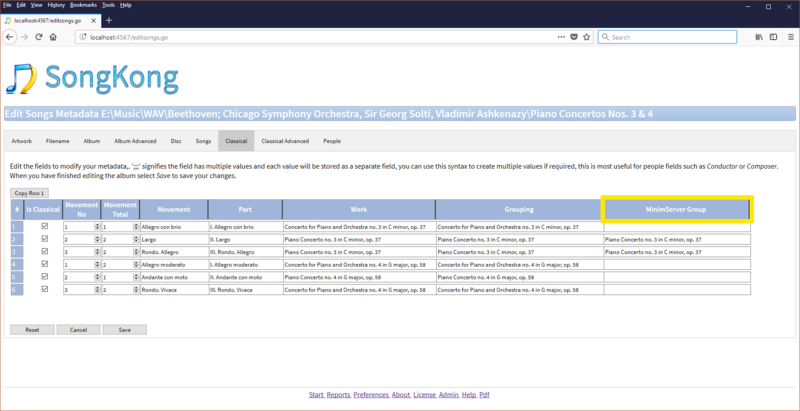 You can run all main tasks such as Fix Songs, configure options and also run administrative tasks such as license installation. The current release is available for MacOS, Windows and Linux as usual, but we plan releases for various NAS devices such as Synology and Qnap very soon. Two points that may be of particular interest to MinimServer users. All my music is on a synology, and for some reasons which are purely mine, not accessible from any computer as a network drive. What I would love is a way to use those software directly on the synology... I started to do some php stuff, but unfortunatly there is no software to update tags on flac files on a synology, nor dsf (my two formats), so I am stuck at this basic layer. (14-02-2018 15:17)paultaylor Wrote: I wanted to share with you a new feature of SongKong 5.0 that I hope will be of interest to some of you, Remote Mode. This feature means that you can now control SongKong from a remote device using a regular web-browser, and this could be another computer, iPad or even your mobile phone. Hi Donuk, that is certainly the plan and one of the main drivers for adding the Remote UI to SongKong. So it isn't possible yet, simply because build installers for Melco and Nas machines is not standard and I need to take some time working out how do to it and then buy and test on the different hardware. Expect within a few months. (20-04-2018 15:08)lyapounov Wrote: All my music is on a synology, and for some reasons which are purely mine, not accessible from any computer as a network drive. Hi, so that is the plan to make installers available for Synology, Qnap and Melco, and that would allow you to do that. Paul, that would be a great news. What I need is a way to update some of my tagging which are not perfect (I have 4500 albums, in flac except 320 in dsf). Is there a way to define my own tagging pattern ? (20-04-2018 15:08)lyapounov Wrote: Is there a way to define my own tagging pattern ? What do you mean by that, could you give an example ?